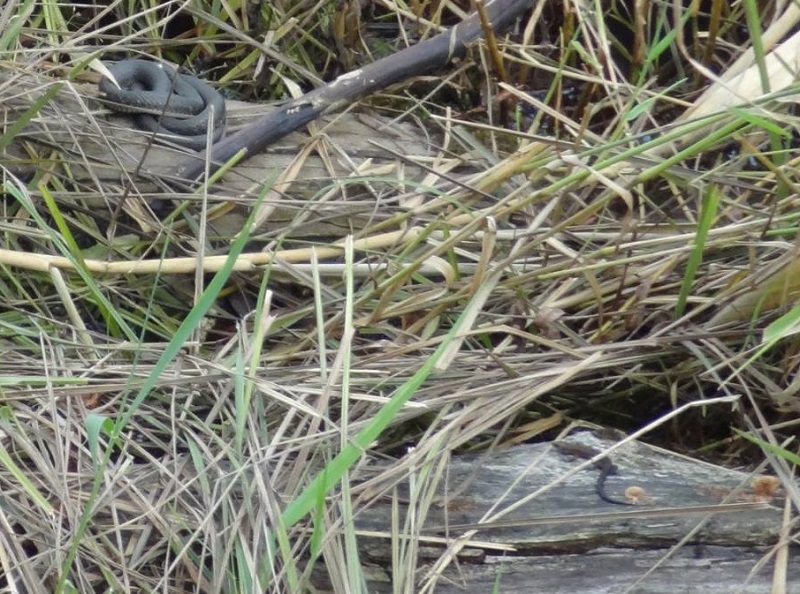 It was sadly very far away, and it spent most of the time with its head underwater, so I could not take very good photos of it. Some later research revealed that this flamingo was only one of five specimens, which have been around in the Chiemsee area since some years. The first sightings date back to 2001. Their true origin is not fully known, but they are possibly escapees from a private exotic bird collection at Leopoldskren near Salzburg, which has a colony of 90 greater flamingos and Chilean flamingos. 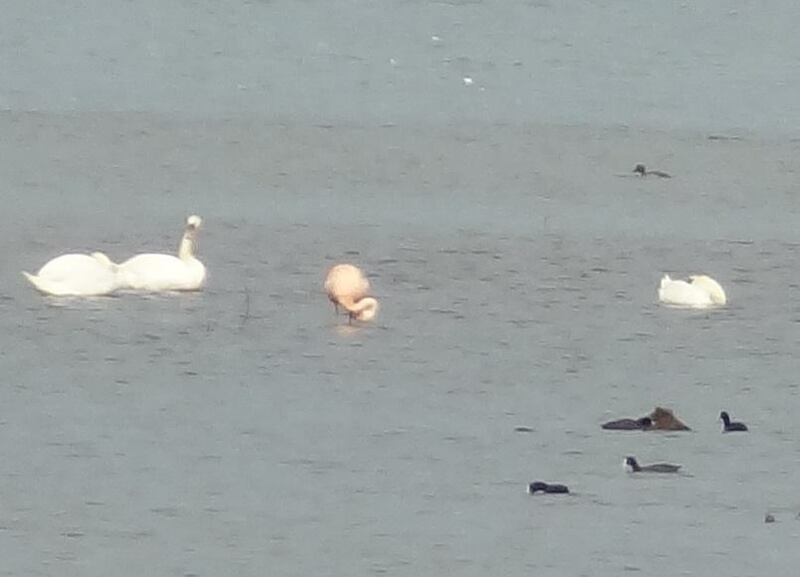 It seems that at least some of the flamingos at Chiemsee are of the Chilean species. You can see some better photos and even a good video of them here. 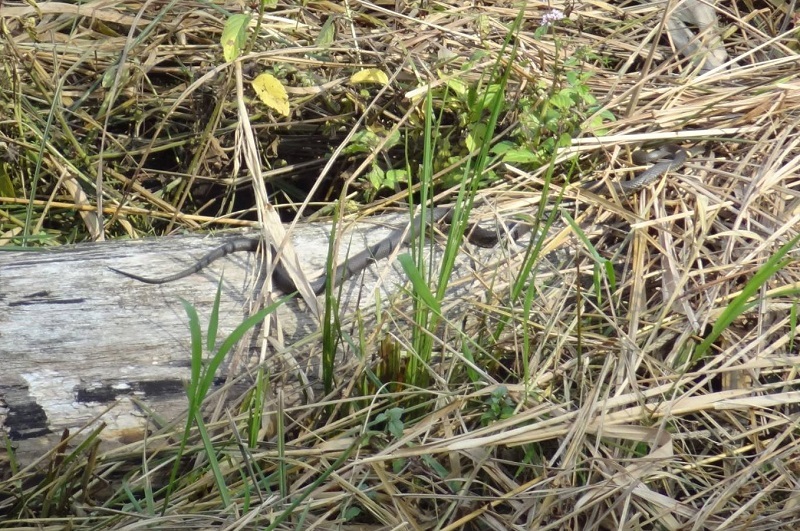 It seems likely that this small group won´t successfully reproduce and increase its number, as there are hardly any suitable breeding areas around. There actually is however already another breeding and reproducing population of flamingos at Germany, at Zwillbrocker Venn, just next to the border to the Netherlands. This colony dates back to around 1970 and consists of three different breeding species, greater flamingos (Phoenicopterus roseus), American flamingos (Phoenicopterus ruber) and Chilean flamingos (Phoenicopterus chilensis). 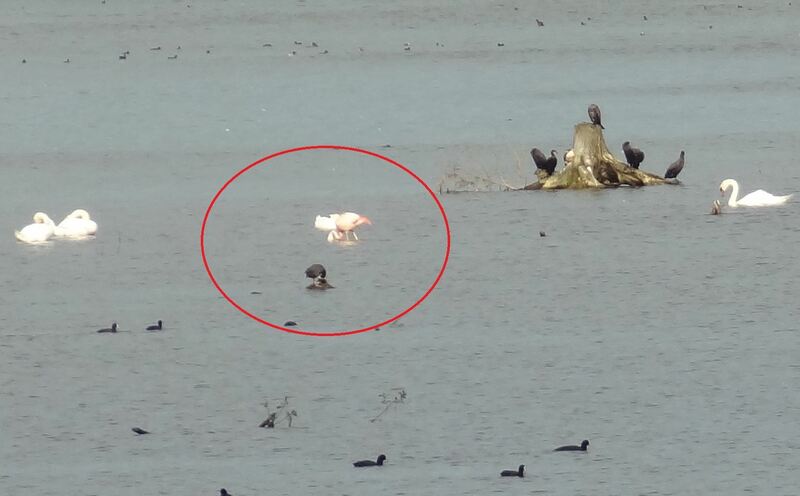 Even hybridization between the greater flamingo and the two other species was already observed. 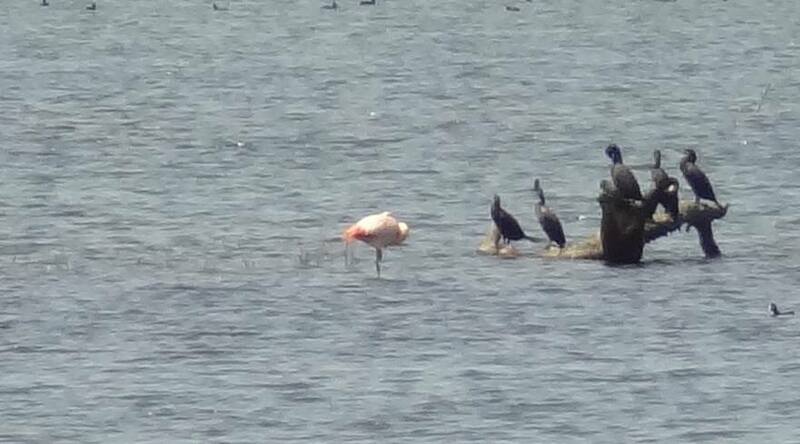 Since some years there were even sightings of isolated specimens of the lesser flamingo (Phoenicopterus minor). 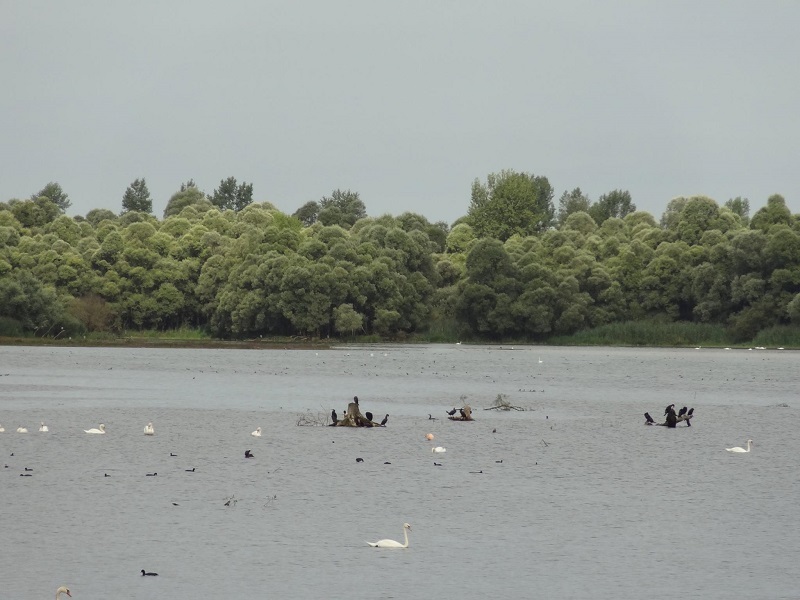 One reason why this colony could survive for decades is the plancton-rich water, which is mainly a result of the excrements from a black-headed gull breeding colony at the lake. The other reason is the existence of an island in the lake, where they can breed. But today it takes additional human help to make this reproduction possible, as fox predation, even on the island, has become a serious problem. Dieser Beitrag wurde unter Naturbeobachtungen, Neozoen, Vögel veröffentlicht. Setze ein Lesezeichen auf den Permalink. Sehr informative Beiträge – ich freue mich, Ihre Seite gefunden zu haben!